A man killed in the September 11 attacks in New York becomes the 1,638th victim to be identified through the re-testing of remains. A man killed in the September 11, 2001, attacks in New York has become the 1,638th victim to be identified, the city's medical authorities said Monday, according to AFP. The 49-year-old's name was not released at the request of his family, the chief medical examiner's office said. His identification was made possible through the re-testing of remains, noted the report. A total of 2,753 people lost their lives in the attacks on New York's World Trade Center, when Al-Qaeda hijackers flew two airliners into the Twin Towers. A third plane was flown into the Pentagon, while a fourth crashed in a Pennsylvania field after its passengers tried to overpower the hijackers. To this day, just 59 percent of the victims have been identified, mostly through DNA. No trace has been found of the remaining 41 percent, or 1,115 people, according to the medical examiner's office. Over the years, authorities have recovered 21,906 human remains of which 63 percent have been identified, it said. Tests are ongoing in an effort to identify the remaining 37 percent. In April it was reported that New York City was planning to begin a new search for the remains of victims of the 9/11 terror attacks on the Twin Towers. 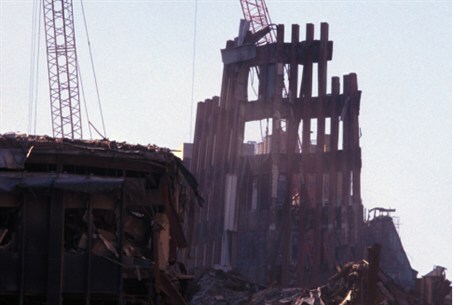 Piles of debris from the Twin Towers will be scanned and checked to determine whether there are any remains that can be brought to burial, those reports said. The last time debris from the terror attacks was checked was in 2010. Last week, the United States marked the 12th anniversary of the September 11 terrorist attacks.